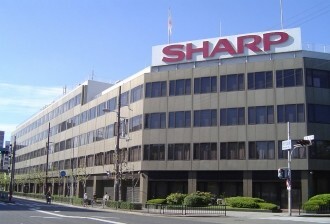 Sharp has confirmed it will be receiving a 10.4 billion yen (around $112 million) investment from Samsung for a 3% stake in the company. The two have done business in the past but this deal will further strengthen that relationship, with the struggling Japanese electronics maker committing to provide LCD panels for large TVs, as well as small- and medium-sized LCDs for mobile devices. Samsung is still expected to get most of its smartphone panel supply from its affiliate Samsung Display Co. That said, as the Wall Street Journal’s Digits blog notes, the move could still help Sharp reduce its dependency on Apple or even prevent the latter from having exclusive access to newer display technology. Sharp has been developing its IGZO (indium gallium zinc oxide) display technology, which enables higher pixel density and lower power consumption in panels destined for smartphones, tablets, and other devices. The company is banking on strong demand for these panels to help fuel its turnaround, but so far they’ve struggled with low production yields, thus limiting their availability to a few phones and tablets in Japan. The Japanese company has seen its financial health decline severely over the past 18 months or so, and is doing everything it can to return to profitability by 2014. That includes layoffs, seeking voluntary retirements, reducing pay and selling TV assembly factories. But with a record ¥450 billion loss forecasted for this year, the company has been taking more aggressive measures in a bid to survive. In a similar deal, last year Qualcomm committed to a $120 million investment in Sharp, with half of it payable by the end of 2012 and the other half conditional on Sharp posting a profit in the second half of the business year ending March 31. The two, through Qualcomm’s Pixtronix subsidiary, will collaborate on the development of new power-saving screens based on the companies’ MEMS and IGZO technology. Other companies including US' Dell and Intel, as well as Chinese Foxconn, have been mentioned as possible investors as Sharp attempts to raise funds, but so far those deals haven’t materialized.